John Wesley (1703-1791), the founder of the Methodist movement, never intended to start his own denomination, but that is exactly what happened in 1784 when the Methodist Episcopal Church was established in the United States. Although Wesley himself would remain a member of the Church of England for his entire life, the foundation of a new church in the nascent United States was necessary to keep the Methodist movement there alive. Religion of the Heart: John Wesley and the Methodist Legacy in America draws upon the Pitts Theology Library’s extensive Wesleyana holdings and celebrates the legacy of Ms. Margaret A. Pitts. The exhibition looks at two aspects of the Methodist story: (1) its rise and development in England and (2) its establishment and history in the United States. The first part presents materials related to Methodist origins: John and Charles Wesley’s childhood home, their involvement in the Oxford Holy Club, their sojourns to Georgia, and their religious experiences of 1738. It also considers how preaching, hymns, and the organizational structures of Methodism played a role in the movement’s successes. The second part assembles materials that reflect major periods and topics related to American Methodism, highlighting both its peaks and valleys. The exhibition explores issues related to church government, race, slavery, and gender as they relate to the United Methodist Church and its preceding denominations. As the United Methodist Church celebrates its fiftieth anniversary in 2018, this exhibition provides a context not only for looking back at the previous fifty years, but to three centuries’ worth of history that contributed to what the church is today. 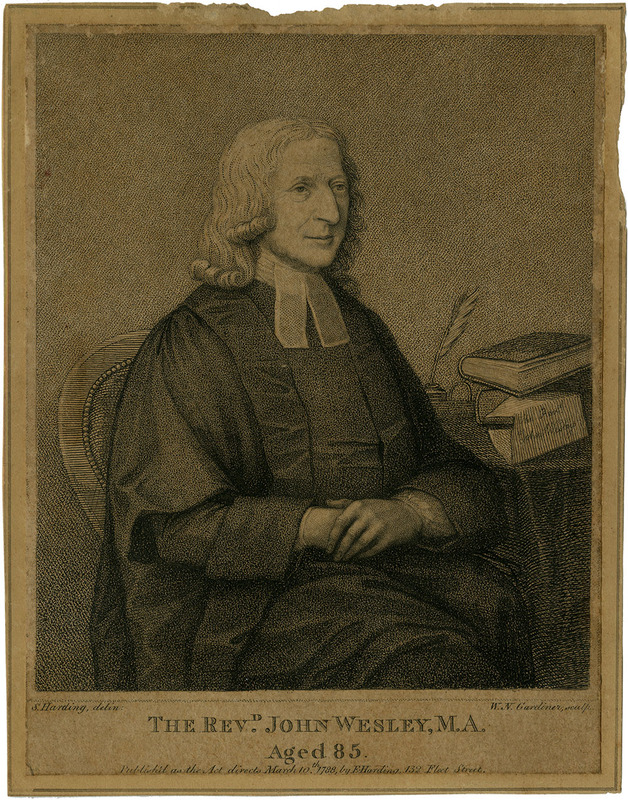 The title of the exhibition, Religion of the Heart, is a term that John Wesley used in his writings to describe a state of possessing “righteousness, and peace, and joy in the Holy Ghost” (Romans 14:17). Religion of the heart is a phrase that highlights Methodism’s evangelical origins, as well as its commitment to social piety. “Let thy religion be the religion of the heart” (John Wesley).